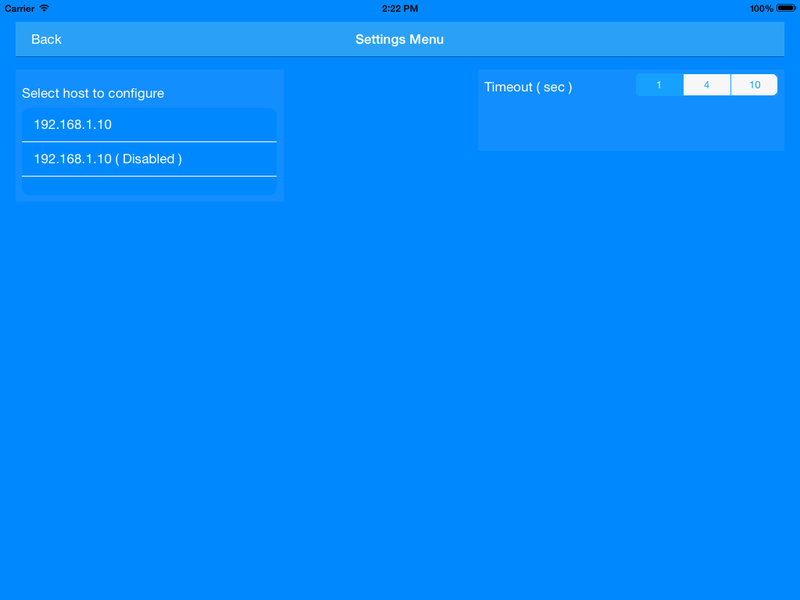 With this application it is possible to control the ircDDB gateway software from Jonathan Naylor G4KLX remotely via an IOS device. 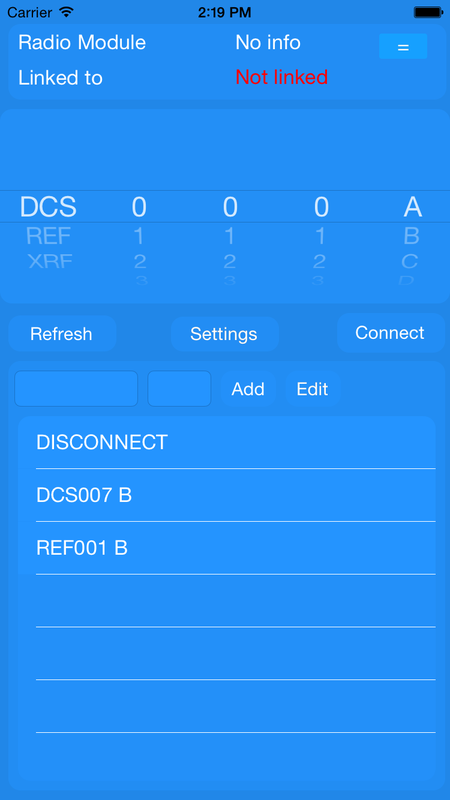 You can connect and disconnect with your own ircDDB gateway to every D-star reflector, hotspot or call without holding your dstar transceiver. 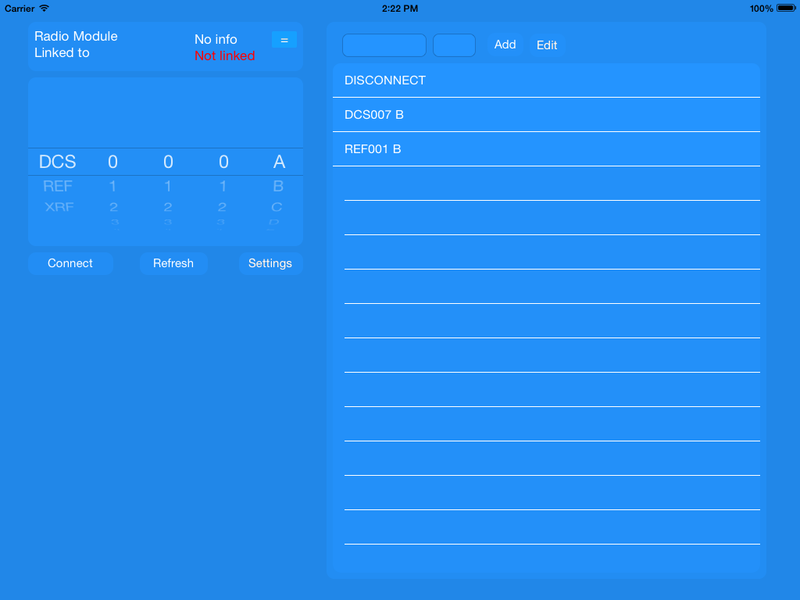 Go to the Apple store and search for ircddb remote and download the ircDDBremote for your IOS device. 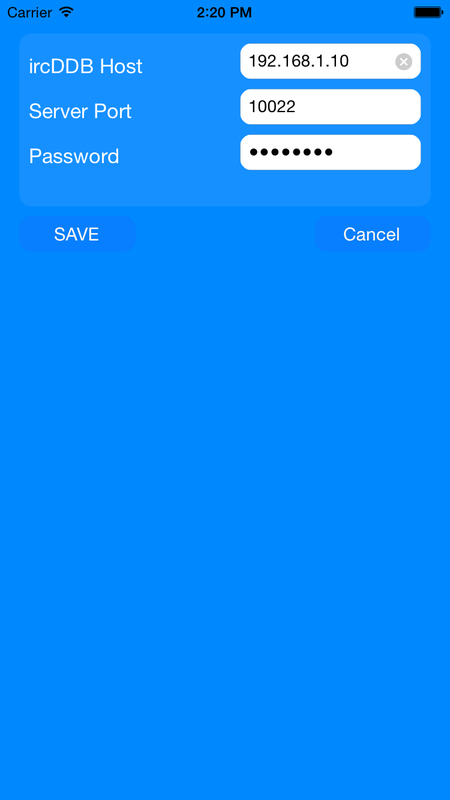 Now start the “ircDDB remote” app on your IOS device. The following screen will apear. 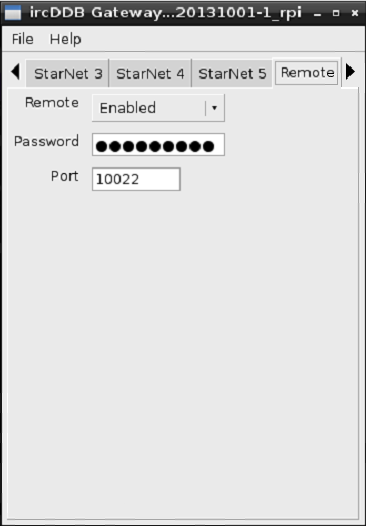 Select the first ip address in the list.